We demonstrate the implementation of the measurement of the energy observable of a quantum harmonic oscillator by using the environment-free measurement model wherein the probe and the pointer of the apparatus are treated as different quantum systems. When the probe and pointer are initially in position-limited initial states, exact decoherence can be induced at a finite time and the emerging pointer states are exactly orthogonal at a finite time after the former has occurred. Closed forms for the functions and time scales relevant to decoherence and orthogonality of pointer states are obtained. J. P. Besagas and E. Galapon. 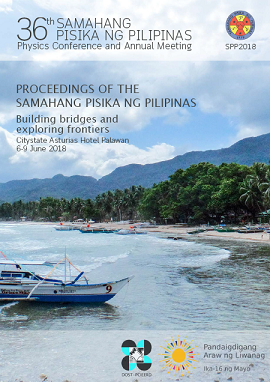 Exact decoherence in an environment-free measurement model brought by a position-limited initial state of the probe and pointer, Proceedings of the Samahang Pisika ng Pilipinas 36, SPP-2018-3B-02 (2018). URL: https://paperview.spp-online.org/proceedings/article/view/SPP-2018-3B-02.